Tianlai – massasje og akupunktur Oslo | "Ditt velvære – Vårt ansvar"
Wanting to help people, I founded Tianlai in 2013. We help in the release of pain, but also give relaxation. My mission was to make people feel less pain associated with excessive stress and excessive muscle tension each day. With time, I was joined by a group of trusted therapists who, together with me, carry out our mission. In our therapy center we can help you eliminate ailments like back, shoulder, neck pain, insomnia, nervousness, and more. Sometimes I hear a guest say he can not sleep for many years or feel leg pain for many years before he comes to me. After our treatment is it better. I have many loyal guests who have been with me for many years. I’m really happy when I heared that I change people’s lives for the better. I hope that every day I will be able to help more people who need help. 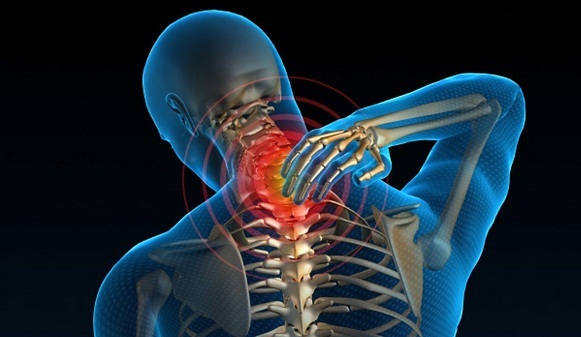 If you feel uncomfortable with your cervical spine, welcome in our therapy center and we will help you. When cervical spondylosis occurs, the roots of the spinal nerve are constricted, pulled and stimulated, causing numbness and swelling of the fingers. Short-term cerebral hypoxia may also cause unilateral numbness of the fingers. Stroke, headache and dizziness, numbness, swelling of the tongue, etc. It can also cause numbness of the fingers. If the peripheral nerves change, there will be numbness in the extremities. One of early symptom of Rheumatoid arthritis is finger numbness. Fractures, dislocations, sprains or fatigue in the wrist may cause numbness in the fingers. Leaning on the elbow while talking on a mobile phone, often squeezes the nerve line, causing the fingers to be numbed. Peripheral neuritis, disorder of the digestive tract, which leads to a lack of vitamin B1, and this can also cause numbness of the fingers. Blockage of the cardiovascular system can also cause numbness of the fingers, because the blood does not circulate properly. Therefore, if you notice the numbness of your fingers, it is necessary to determine in advance what is the reason of this, for to detect the possible illness. If you detected this problem. you welcome to Tianlai. We can help you.